Workspace Technology designs and installs modular, resilient, 'right size' data centre electrical infrastructure including HV, LV, PDUs, UPS systems and power generators. Workspace Technology will design and deploy data centre power distribution, UPS systems and generator systems to match the capacity and availability of the network critical physical infrastructure of your data centre facility. The deployment of modular ‘right size’ data centre power design techniques such as the APC InfraStruXure will help reduce overall power consumption and lead to a reduced total cost of ownership. Our contemporary approach to electrical installation helps reduce data centre power consumption through modular, resilient and ‘right size’ design. Workspace Technology designs electrical switchgear and associated data centre power distribution systems to meet the predicted design capacity and system availability. Our Design Engineers utilise AMTECH ProDesign, one of the UK's leading electrical design packages. This ensures full electrical design and calculation to BS 7671 IEE 17th Edition with correct cable sizes, discrimination, breaker ratings and settings. Workspace Technology's data centre experts design and install LV panel board and associated data centre power distribution to match the availability and performance of the most demanding network environments for ultimate efficiency and control. Our services include the design and installation of LV Distribution Panel Boards, ATS Panel Systems and UPS Bypass Panels. CPDUs are designed to facilitate the safe and quick installation of additional data centre power deployments to support the dynamic changes which inevitably occur due to I.T refreshes. We provide both Standard Critical Power Distribution Unit and Intelligent ePDUs. Workspace Technology's implements a range of digital meters to provide flexible metering deployment within custom panels, switchboards, switchgear, gensets, motor control centres and UPS systems and are essential to the deployment of a complete EcoMeasure energy management solution. Although the public utility power distribution systems are reliable in most developed counties, even the best utility systems are inadequate to meet the needs of the critical non-stop data processing operations. Data Centre UPS solutions will maintain service for critical devices. Workspace Technology offers a comprehensive range of both single and three phase UPS systems to meet individual client demands. Single high capacity, rack mount or modular distributed data centre UPS systems can be installed depending on the nature of the facility. Workspace Technology partners with the world’s largest UPS manufacturer APC to provide energy efficient traditional and resilient modular UPS system providing high levels of availability. Workspace Technology offers APC by Schneider Electric’s comprehensive range of both single phase and three phase electronic data centre UPS systems and accessories to backup individual client demands. Workspace Technology is the UK’s leading APC Data Centre Solution Elite Partner. APC UPS systems supplied by Workspace Technology include the leading range of SmartUPS and Symmetra PX 'InRow' modular array based data centre UPS system. Workspace Technology also deploys Riello’s leading range of tradition and modular systems. The Riello UPS products range from 5kVa through to Megawatt systems. Riello’s range of tradition systems offers our clients a cost-effective solution for server room and data centre environments. Workspace Technology’s engineering team provide full design, system integration and support services for clients across the UK. 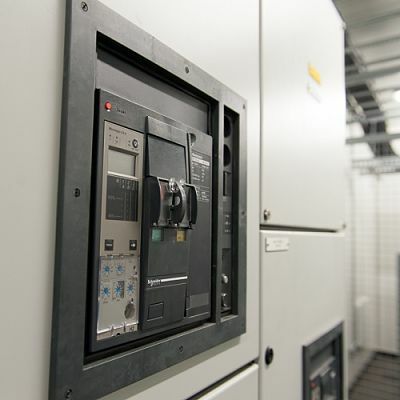 UPS battery systems are the essential component that delivers continuity service to mission critical equipment under power failure conditions. It is therefore imperative that UPS battery systems are designed, installed and serviced by experienced and expert engineers. Workspace Technology provides a wide range of UPS battery services, including design installation, maintenance, replacement and disposal. Standby power generation is a key component of high availability power systems for data centres and network rooms. Information Technology systems may operate for minutes or even a few hours on UPS battery, but local power generation capability is crucial to achieving high availability and continuous operation in utility power failure situations. Workspace Technology delivers engineering excellence and technically advanced power generation and mission critical power solutions very often in challenging environments. Our comprehensive range of diesel generator sets deliver power solutions for data centre, commercial and industrial applications. Our Power Generation solutions are engineered by our team to interface with your on-site systems, control mechanisms, critical power loads, availability, and redundancy requirements. Power Generation solutions include open and closed units and can be supplied with appropriate sound attenuated for standby or continuous applications supporting single or three phase outputs. Workspace Technology’s generator options range from 10kVA to 2100kVA.